HOLD HARMLESS: By registering the above-named child(ren) for SAJDP programs I attest that I am the legal guardian. I acknowledge that participating in these activities involves certain risks (some of which I may not fully appreciate) and that injuries, death, property damage or other harm could occur to me or others. I accept and voluntarily incur all risks of any injuries, damages, or harm which arise during or result from my participation, including any associated travel, regardless of whether or not caused in whole or in part by the negligence or other fault of SAJDP, the owners of SAJDP, and/or its teachers, affiliates, employees, officers, agents or insurers ("Released Parties"). I waive all claims against any of the Released Parties for any injuries, damages, losses or claims, whether known and unknown, which arise during or result from my participation in the activity, regardless of whether or not caused in whole or part by the negligence or other fault of any of the Released Parties. I release and forever discharge the Released Parties from all such claims. I agree to indemnify and hold the Released Parties harmless from all losses, liabilities, damages, costs or expenses (including but not limited to reasonable attorneys' fees and other litigation costs and expenses) incurred by any of the Released Parties as a result of any claims or suits that I (or anyone claiming by, under or through me) may bring against any of the Released Parties to recover any losses, liabilities, costs, damages, or expenses which arise during or result from my participation in the activity, regardless of whether or not caused in whole or part by the negligence or other fault of any of the Released Parties. PAYMENTS: I understand that payments are due on the first of each month and that if I am more than 5 days late I am subject to a late fee. I also understand that I have the option of paying online and that if I am more than 10 days late two months in a row, I will be required to enroll in autopay. I also understand that auto pay in an option, even if I am not late for payment. I ALSO UNDERSTAND THAT IF I REGISTER FOR A CLASS AND DO NOT DROP IT BY THE FIRST OF THE MONTH THAT FEES ARE DUE AND ARE NON-REFUNDABLE. HOLD HARMLESS: By registering the above named child(ren) for SAJDP programs I attest that I am the legal guardian. I acknowledge that participating in these activities involves certain risks (some of which I may not fully appreciate) and that injuries, death, property damage or other harm could occur to me or others. I accept and voluntarily incur all risks of any injuries, damages, or harm which arise during or result from my participation, including any associated travel, regardless of whether or not caused in whole or in part by the negligence or other fault of SAJDP, the owners of SAJDP, and/or its teachers, affiliates, employees, officers, agents or insurers ("Released Parties"). I waive all claims against any of the Released Parties for any injuries, damages, losses or claims, whether known and unknown, which arise during or result from my participation in the activity, regardless of whether or not caused in whole or part by the negligence or other fault of any of the Released Parties. I release and forever discharge the Released Parties from all such claims. I agree to indemnify and hold the Released Parties harmless from all losses, liabilities, damages, costs or expenses (including but not limited to reasonable attorneys' fees and other litigation costs and expenses) incurred by any of the Released Parties as a result of any claims or suits that I (or anyone claiming by, under or through me) may bring against any of the Released Parties to recover any losses, liabilities, costs, damages, or expenses which arise during or result from my participation in the activity, regardless of whether or not caused in whole or part by the negligence or other fault of any of the Released Parties. By registering the named child(ren) for SAJDP programs I attest that I am the legal guardian. I acknowledge that participating in these activities involves certain risks (some of which I may not fully appreciate) and that injuries, death, property damage or other harm could occur to me or others. I accept and voluntarily incur all risks of any injuries, damages, or harm which arise during or result from my participation, including any associated travel, regardless of whether or not caused in whole or in part by the negligence or other fault of SAJDP, the owners of SAJDP, and/or its teachers, affiliates, employees, officers, agents or insurers ("Released Parties"). I waive all claims against any of the Released Parties for any injuries, damages, losses or claims, whether known and unknown, which arise during or result from my participation in the activity, regardless of whether or not caused in whole or part by the negligence or other fault of any of the Released Parties. I release and forever discharge the Released Parties from all such claims. I agree to indemnify and hold the Released Parties harmless from all losses, liabilities, damages, costs or expenses (including but not limited to reasonable attorneys' fees and other litigation costs and expenses) incurred by any of the Released Parties as a result of any claims or suits that I (or anyone claiming by, under or through me) may bring against any of the Released Parties to recover any losses, liabilities, costs, damages, or expenses which arise during or result from my participation in the activity, regardless of whether or not caused in whole or part by the negligence or other fault of any of the Released Parties. I have carefully read and reviewed this Waiver, Release and Hold Harmless Agreement. I have received and read the studio policies. I understand them fully and I execute this agreement voluntarily. At SAJDP we have certain standards for our parents as well as our students. 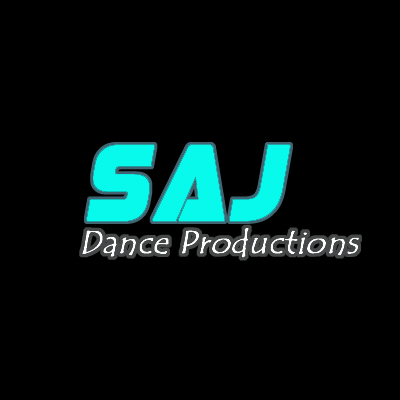 SAJDP dancer’s families are part of the studio experience. Some of the things to remember when at the studio. 1. Do not enter the studio while class is in progress. 2. Street shoes are not to be worn on the dance floor. 3. Parents are to enter the studio by the rear door so that you do not walk across the classroom. 4. Parents will encourage all students in their efforts. 5. Classes start on time. Have your students at class on time to be ready to start on time. 6. There are no makeup classes for absent students. If a piece is choreographed when a student is absent, they will not be included in that number. 7. You are responsible for checking the online bulletin board for additional information. 8. Parents are not to come into the studio classroom unless participating in an event. You may enter the retail area between classes to conduct studio business or shop for retail. 9. There is no talking in the studio during class. 10. Dancers must adhere to the dress code. 11. All communications shall be done via the studio phone, studio email or in person. Do not send text messages to staff, unless directed to do so. SAJ’s staff cell phones, when provided, are for emergencies, dance team or as requested by staff only. Each student is required to pay a registration fee upon registration for classes. This is an annual fee and is in addition class tuition. Students who drop classes for an entire session are subject to a new registration fee. Class fees are posted to your account on the 20th of each month and are due IN FULL on the 1st of the following month. We provide several ways of paying invoices. SAJDP accepts cash, checks, and credit and debit cards. Payments can be made via autopay, online payment, or dropped our mailbox. There is a charge of $15.00 for fees not paid in full 5 days after the due date. If left unpaid, another fee of $15.00 is charged every 14 days. Students are subject to begin dropped if fees are late 10 days or more. IF you have an issue with payments, please talk with the office before the 1st of the month. THERE WILL BE NO EXCEPTIONS TO OUR LATE FEE POLICY. Dropping classes after fees are due will NOT relieve the debt. One of our goals is to have students that are interested prepared to compete at the highest level possible as part of our dance team. Dance team members are invited to participate based on their dedication and work ethic in the studio. Dancers that are invited to join the team must agree to commit to the team for the entire dance season, without planned absences. Team rehearsals are once per week and are mandatory. There are no exceptions to the attendance policy. When we attend conventions that offer master classes as part of our entrance fee, students are expected to attend. Students are expected to represent SAJ with the highest level of behavior possible during all studio events. Each student’s parent/guardian must agree to the hold harmless agreement found on the bottom of the registration form, dress code, and studio policies. These documents are also found in the parent portal in the online registration system. 1. Pre-Ballet: Pink short sleeve leotard, pink footed seamless tights, pink ballet skirt, and leather full sole pink ballet slippers. Hair: in a slicked back ballet bun. Dancers are not to wear underwear under their tights. 2. Ballet 1: Black camisole or short sleeve leotard, pink footed seamless tights, and leather full sole pink ballet slippers. Ballet skirt is optional. Hair: in a slicked back ballet bun. Dancers are not to wear underwear under their tights. 3. Ballet 2-3: Black camisole or short sleeve leotard, pink footed seamless tights, and pink ballet slippers. Ballet slippers must be double soul and may be canvas or leather. Hair in a slicked back ballet bun. Dancers are not to wear underwear under their tights. 4. Male dancers: Black-footed tights, black or white socks, and double soul ballet slippers in either black or white. Slippers in canvas or leather are allowed. T-shirt may be swoop or V-neck and are allowed in black or white only. 5. All Jazz Classes: Dancers may wear any type of dancewear they choose to but it must be age appropriate. Any color tight is allowed and any color jazz shoe. Hair must be out of face for all level classes. No exceptions. 6. All Lyrical Classes: Dancers may wear any type of dancewear they choose to but must be age appropriate. Any color tight is allowed. Dancers may wear any color lyrical sandal or jazz shoe. Hair must be out of face for all level classes. No exceptions. 7. All Hip Hop Classes: Dancers may wear any type of dancewear they choose to but it must be age appropriate. Any color tight is allowed and any color clean sneaker. Hair must be out of face for all level classes. No exceptions. 8. Tumbling Class: Dancers may wear any type of dancewear they choose to but it must be age appropriate. Any color tight is allowed and any color clean sneaker. Hair must be out of face for all level classes. No exceptions. 9. ALL CLASSES No dancer is allowed to wear any jewelry other than studded earrings in ANY class. Advanced dancers may have facial piercing if they are studded and not dangling.